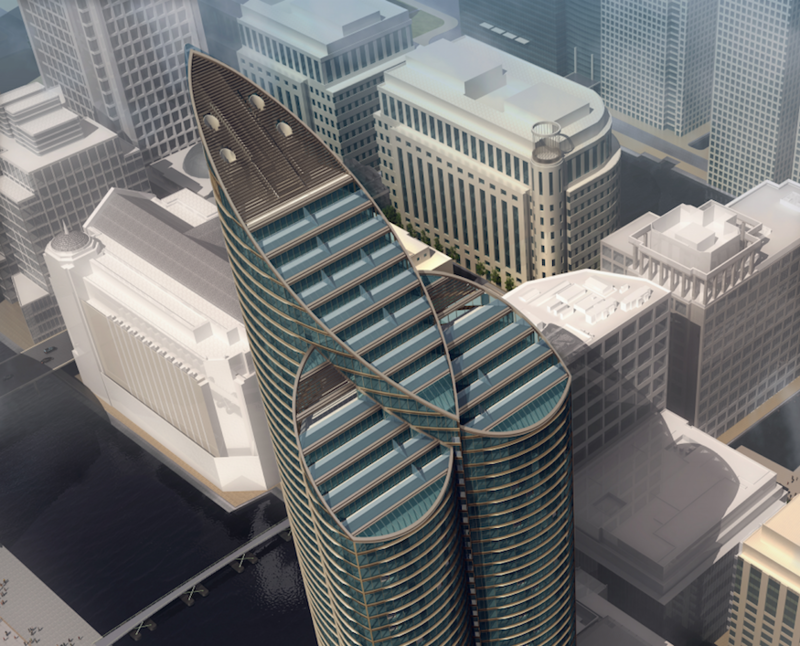 The Spire skyscraper is billed as western Europe's tallest residential building. The trifoliate tower rises sleekly into the skies of the Isle of Dogs, not far from the Museum of London Docklands. From this angle, it's a decent addition to the Canary Wharf skyline. But passengers coming in to land at City Airport will see it from a different angle (above). If they are as infantile as us, they will see a massive dong. From the ground, all is well. 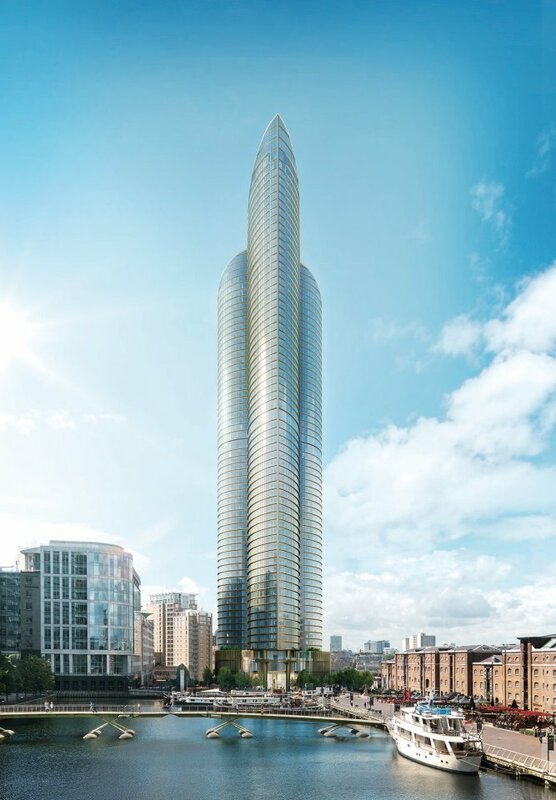 At 235 metres tall, the Spire will be just a few centimetres shorter than the nearby One Canada Square. While that tower is crowned with a tasteful pyramid, the Spire opts for a more chucklesome erection. Anyone who might be able to afford one of the 765 apartments can now register interest. Prices start from £595,000. The images above and many others can be found in the Tower Hamlets planning application.